Home Front Page Stone Sphere Is Back Home! After spending 74 years in a garden in Miami, Costa Rica’s pre-Columbian stone sphere is home, arriving on a boat from the United States last month. According to the Ministerio de Cultura, the return home is voluntary after John F. Betancourt decided to contact the Costa Rican consulate in Miami and Costa Rica’s national museum to tell them he had one of the spheres native to Costa Rica in his yard. Betancourt said he has had the stone since 1940, when it was taken from Costa Rica and placed there by original owners of his property. 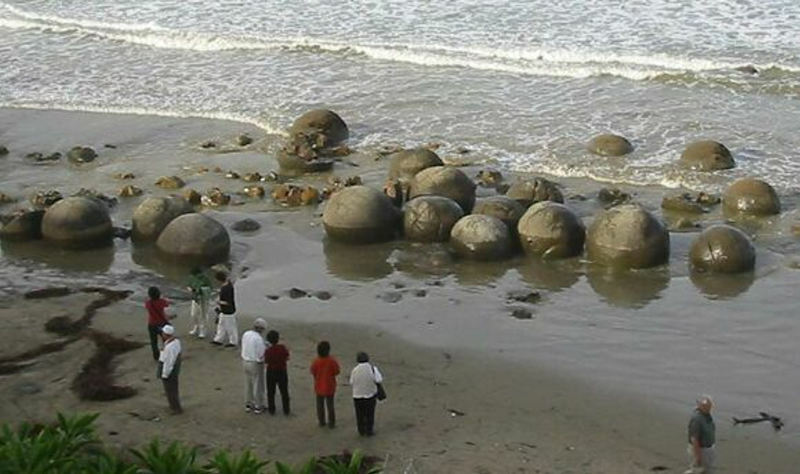 The sphere, weighing 1.5 tons and a circumference of 2.9 metres, is good condition, however, showing a crack, said the Culture ministry in a press statement. 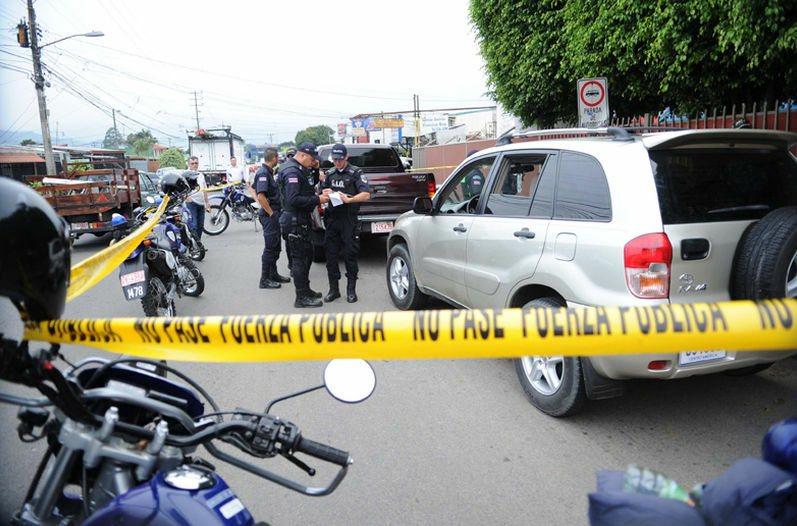 The stone monolith left the United States on April 3 and arrived in Costa Rica at the end of that month. 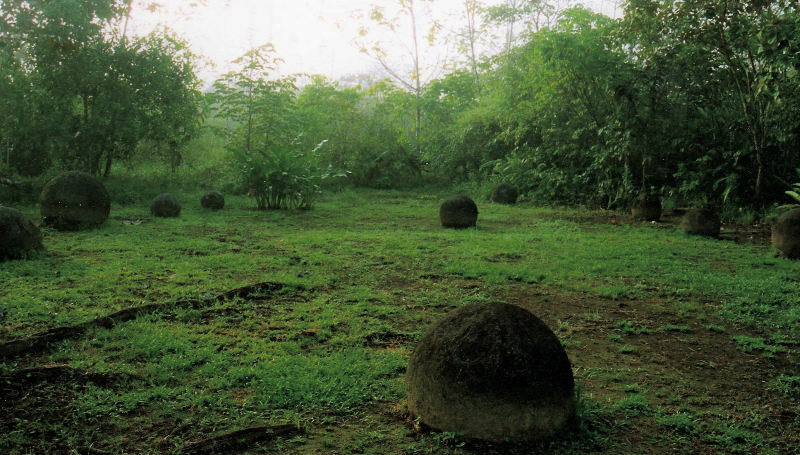 The stone spheres (or stone balls) of Costa Rica are an assortment of over three hundred petrospheres in Costa Rica, located on the Diquís Delta and on Isla del Caño, in the southern zone. Locally, they are known as Las Bolas. The spheres are commonly attributed to the extinct Diquís culture and are sometimes referred to as the Diquís Spheres. They are the best-known stone sculptures of the Isthmo-Colombian area. The spheres were first discovered in 1939 in a former banana plantation, called Finca 6, in the town of Palmar Sur, Puntarenas, during an agricultural expansion in the area by the United Fruit Company clearing the jungle for banana plantations. The spheres range in size from a few centimetres to over 2 metres (6.6 ft) in diameter, and weigh up to 15 tons. Most are sculpted from gabbro, the coarse-grained equivalent of basalt. There are a dozen or so made from shell-rich limestone, and another dozen made from a sandstone. The stones are believed to have been first created around the year 600, with most dating to after 1,000 but before the Spanish conquest. The only method available for dating the carved stones is stratigraphy, but most stones are no longer in their original locations. The culture of the people who made them disappeared after the Spanish conquest. It has been claimed that the spheres are perfect, or very near perfect in roundness, although some spheres are known to vary by 5 centimetres (2.0 in) in diameter until 257 centimetres (104 in). Also the stones have been damaged and eroded over the years, and so it is impossible to know exactly their original shape. A review of the way that the stones were measured by Lothrop reveals that claims of precision are due to misinterpretations of the methods used in their measurement. Although Lothrop published tables of ball diameters with figures to three decimal places, these figures were actually averages of measurements taken with tapes that were nowhere near that precise. The Costa Rican government expects mid this year the United Nations Educational, Scientific and Cultural Organization (UNESCO) to declare the areas and archaeological sites as world heritage. Italians Say Stick With Columbus!